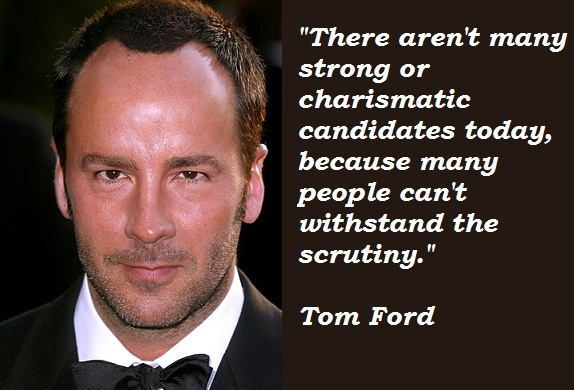 See the gallery for quotes by Tom Ford. You can to use those 7 images of quotes as a desktop wallpapers. 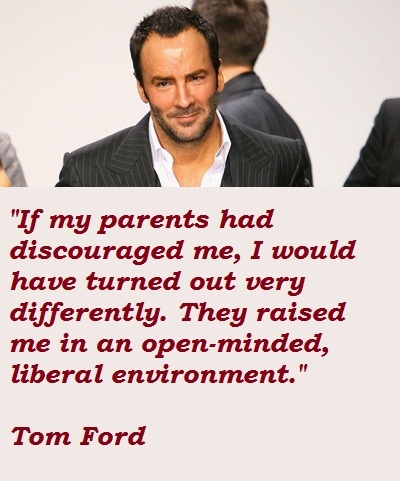 If my parents had discouraged me, I would have turned out very differently. They raised me in an open-minded, liberal environment. There aren't many strong or charismatic candidates today, because many people can't withstand the scrutiny. I'm actually very introverted. I'm very shy. I'm very emotional. 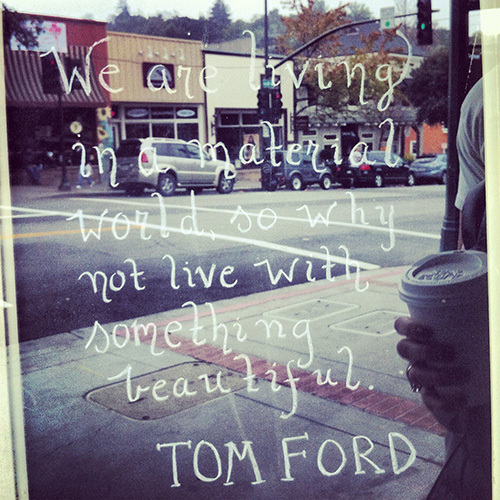 But as an adult working in the fashion industry, I struggle with materialism. And I'm one of the least materialistic people that exist, because material possessions don't mean much to me. They're beautiful, I enjoy them, they can enhance your life to a certain degree, but they're ultimately not important. I don't want to find myself designing for the press. L.A. is my American city. When the youth of America gets together, amazing things happen. I enjoy the speed of fashion. I love doing different things and I think I still have something valid to say in fashion. I think that monogamy is artificial. I do not think it's something that comes naturally to us. I think the 1970s will always be the decade for me. Obviously, I grew up in that era, but the beauty standard was touchable, kissable. Most everyone now personally knows someone who is openly homosexual. Once upon a time we did not focus on a president's private life. Students in the '60s were responsible for great changes, politically and socially. The U.S. used to be perceived as the moral leader of the world, and we have absolutely lost that. We have the Terminator as governor, and we had an actor as president, so why shouldn't we have a fashion designer as a senator? 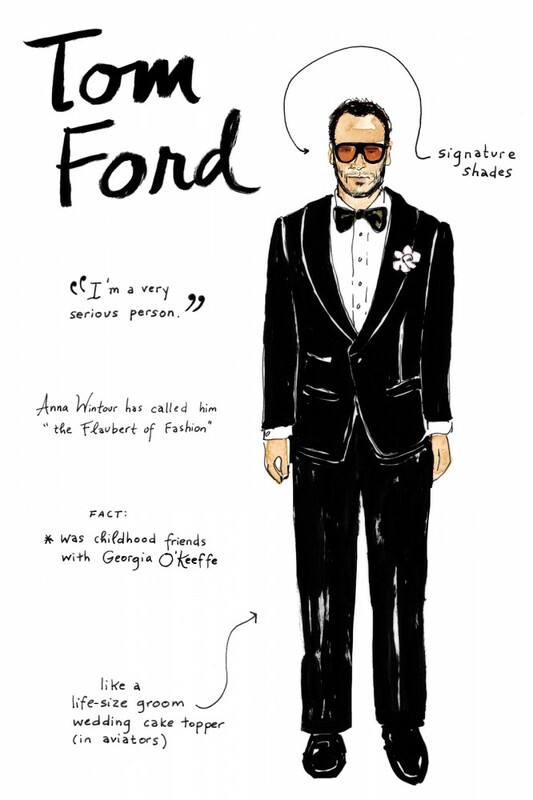 Much more quotes by Tom Ford below the page. When I was a kid, I thought I was going to be an actor. I don't do shows. I don't have reviews. I'm not putting the clothes on every celebrity so that by the time they reach the store the customers are sick of seeing them. My grandmother was probably the first person who I thought was beautiful. She was incredibly stylish, she had big hair, big cars. I was probably 3 years old, but she was like a cartoon character. She'd swoop into our lives with presents and boxes, and she always smelled great and looked great.